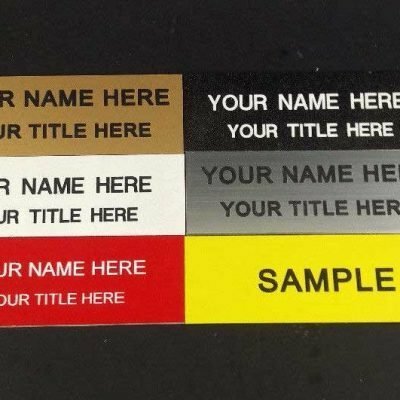 One custom name tag that measures 4 x 2 inches. One custom engraved 4×2 name tag. You can choose from six colors and comes with up to 4 lines of free engraving. One custom name tag that measures 4 x 2 inches. 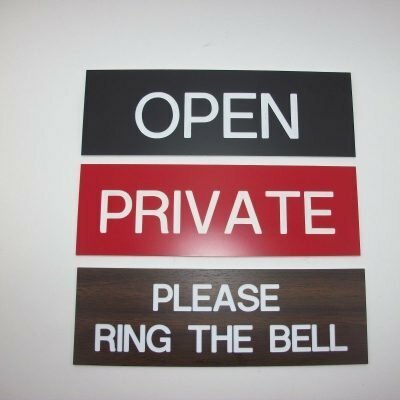 You can choose from six colors and comes with up to 4 lines of free engraving. 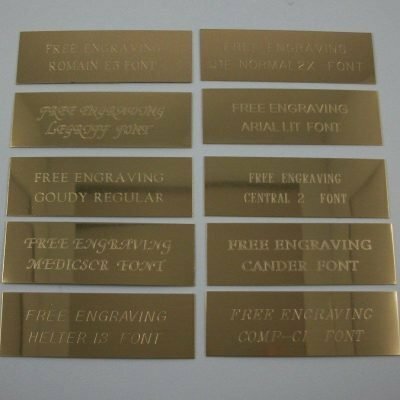 Chose from Silver, blue, red, and gold plates are engraved in silver lettering. 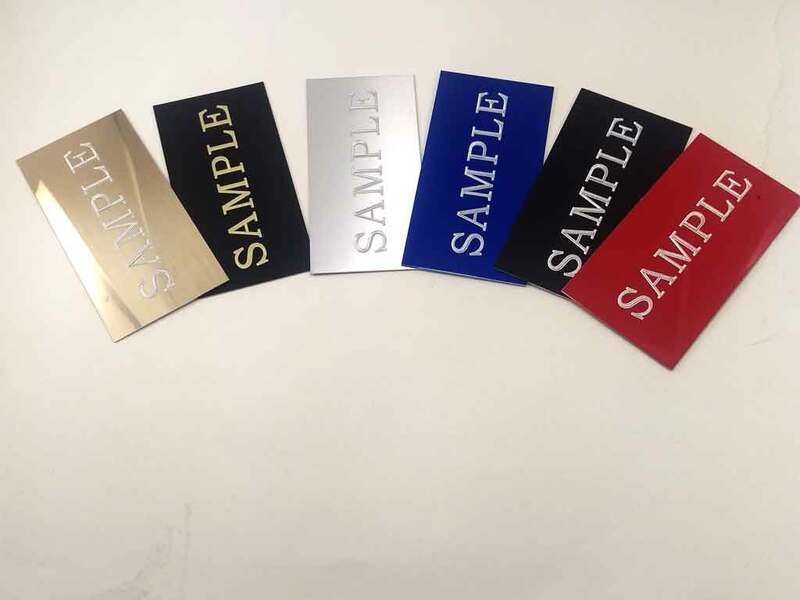 Also black name tag can be engraved in silver or gold lettering. 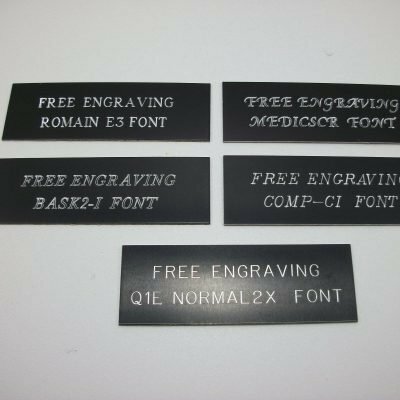 Free engraving included in the price.